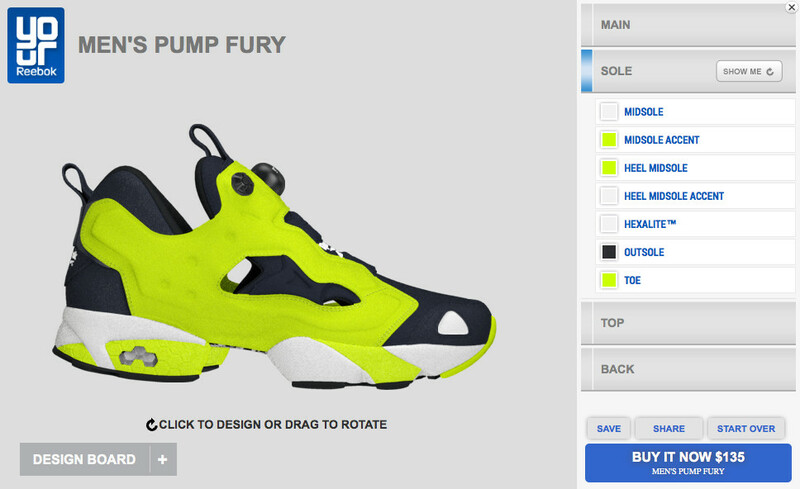 The iconic Pump Fury is available for customization now on YourReebok. 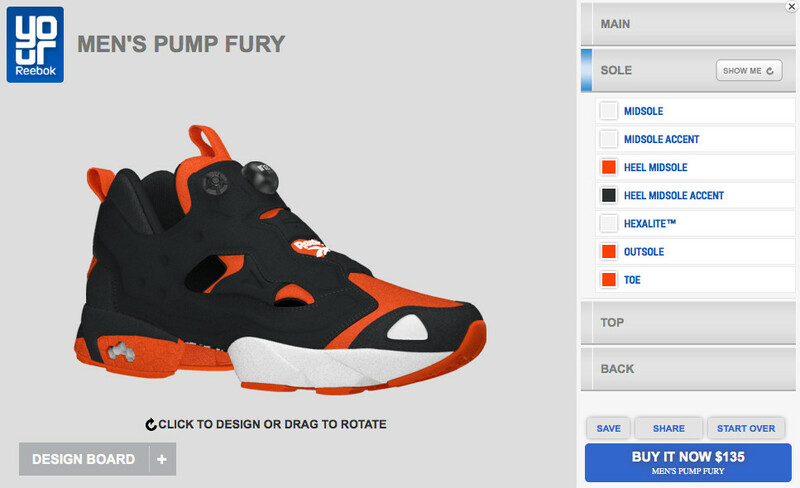 Reebok is ready to celebrate the 20th anniversary of the iconic Pump Fury this year in a big way, with the return of the OG colorway and a reported 27 collaboration versions of the still-futuristic runner.. On top of all that, you now have the opportunity to add your own custom colorway to the Fury via the YourReebok site for a very reasonable price of $135. 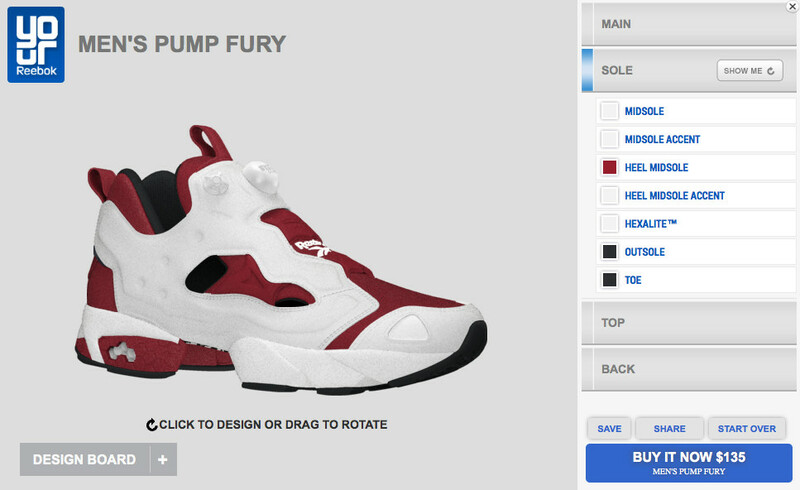 Along with all of the original materials, you'll have the option to add suede, leather, patent leather and even ostrich (+$5) to various panels of the shoe. 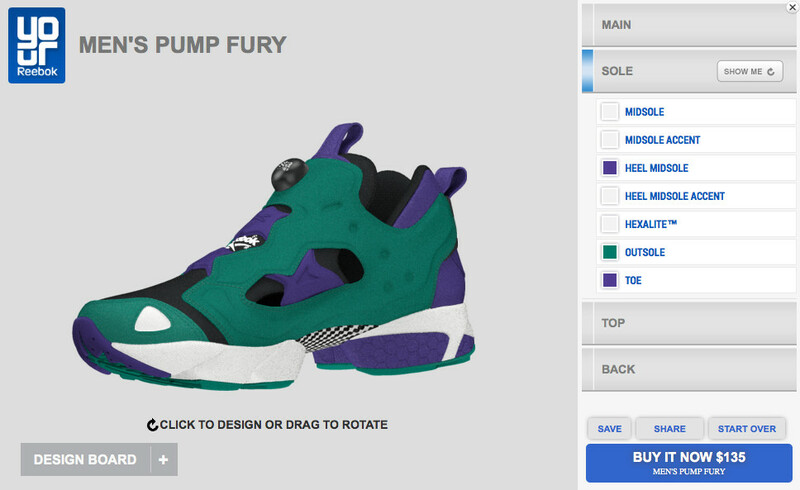 Check out a few example colorways below, and celebrate the revolutionary runner's 20th anniversary by getting started on your own pair over at YourReebok now.